You wrote it into the stars & the fabric of everything. can understand the true purpose of this life, your life. On a planet such as Earth, it is all too easy for Spirit to forget its true reason for being here. It is also easy to unintentionally re-live a former existence that has little to do with your purpose for this life. For instance, one who lived a life of power and riches may not clearly see this life's intention of spiritual devotion. "The King is to Become The Mage"
"The ages of 28-36 were your years of Responsibility. Your opportunities were to work for and with others and to think in terms of the needs of others. Home, family, and friends were front and center. You were learning about practical matters through restriction, with nothing coming easily. This was the time frame your wise Spirit---before incarnating into human form---created for The-King-within-you to learn about how others in your former kingdom once lived, because your King memories were of having it all….being the one all paid homage to….being the one who made all the decisions regardless of the outcome to others. Your destiny in this life, however, is to become The Mage, the one with the wisdom to help those who seek it. From ages 28-36, you had a lot of people to take care of, and your challenge was to build something of lasting value (home, family, relationships). The lessons during those nine years were: pay attention, plan, build, save, follow through, curb impatience, resist being Kingly (stubborn/argumentative/one-sided) and expand your ways of seeing life. The pitfalls were: insensitivity to the feelings of others, false moral attitudes, and self-righteousness. You had to learn to “come through” for family. Your teachers were contracts, time-lines and money---something The King of long ago never, never, never had to deal with. He had others for handling all of that. It was a time of growth for you and also a time of conflict because with your heart of humanitarianism and deep caring about others you were like a living contradiction. You cared DEEPLY, but The King in you felt that to show it was to show weakness. As a King, power and force were linked together, while caring was seen as a flaw. In fact, the deep challenge for you throughout your life is to have faith in what is emerging with your life, rather than trying to force it. The King wants to force and insist. The Mage you are destined to be recognizes how true power flows effortlessly and silently in a harmonious environment." A Life Map reveals the times of important changes in your life. Who you began this life as will not usually be who you are destined to become in later years, as each life comes with specific challenges to overcome and talents to develop. A first time Life Map will reveal opportunities and challenges for the next 3 years. Your Life Map also reveals your personal Heartsong so that you do not lose it in the process of daily living. Coded into your birth name, it reminds you of what matters most to the true heart of your being. It is your daily personal energy imprint, the vibration/frequency that you emit into life. It could be said it is the true core of your essence. If you were able to 'hear it', you would know it was 'you'. You work for the universal good rather than for personal ambition. Spiritual study is a large part of your education. You are competent at almost anything you undertake. Whatever work you do must live up to your ideals. Your deepest interest is to make a significant contribution to life. Originality, seriousness, and single-mindedness manifest in whatever you do. You are sensitive, analytical and can be judgmental. Your power comes from a higher source than self. You need to feel useful to be happy. Security, home and family are most important to you. You have strong morals and traditions and value responsibility. You love doing favors for friends but will not ask for yourself. You like to plan ahead and enjoy teaching others how to do things. Each entity comes to planet Earth with not only their story but with how their story weaves in and out of the lives of others. You see, Beloveds, when you take on a physical body and come to earth with your paradigm to live, you have mapped it out for yourselves in the numerology of your name. We have mentioned previously that astrology and numerology help lay the foundation for you to recognize the map that you prepared for yourself, or that was prepared even at the moment of birth, energetically. By interpreting this map you are able to see and understand the persona you are taking on in this lifetime. In astrology, there are definitions for each of what are called the sun signs. A neophyte astrologist---one who is just beginning to practice astrology (and the same for numerology)---will take the sun sign and expound from there. But truly your astrology and numerology maps are interwoven. They are not maps to be read “section by section by section”, i.e. “Well, you have Venus in the second house and this is what that means…” or “You are a Leo rising and this is what that means” or “You have Saturn square Neptune and this is what that means”. Truly is it about weaving all of the pieces together and seeing the paradigm that is your life this moment in this time frame. If you look at astrology or numerology, you will find the positive and the negative aspects of both signs and numbers. By using the “negative” as a guidepost you may see for yourself what aspects of your personality, value system and life itself that you wish to overcome and balance in your being. You may also use these maps as a hint to yourself of what is to come. Now, are you limited by these maps you have laid out for yourself? You cannot be limited, Beloveds, on a free will planet because you always have the choice to wake up whenever you decide to be done with the illusions. You have the choice to completely abandon, if you choose to, the astrology map you laid out for yourself, and the numerology path you laid out for yourself and take off on some other direction. But normally, the Soul having a human experience does not abandon its map for any given lifetime unless it has outgrown it; unless it has mastered all that it represents." Some of you had sessions for numerology with the one through whom I speak, and discovered that you were those numbers that were on the paper---they made sense to you and your life and you had a deeper feeling and awareness within yourself of what mattered for how you were living. All of a sudden many things about you and yourself were "OK" and they did not need to be changed. You discovered the infrastructure on which you were building your life this lifetime. So this created in you a sense of well-being. It created a sense of, “I can pat myself on the back” because indeed I AM not as far away from the truth I AM seeking as perhaps I thought I was”. There is much more to learn in that area, and numbers can tell you many, many details, but the purpose of knowing who you are, what your skills are, why you have come, is to understand the paradigm that you chose for your truth this lifetime----that you chose to live within so that you could experience the destiny you planned for this life. 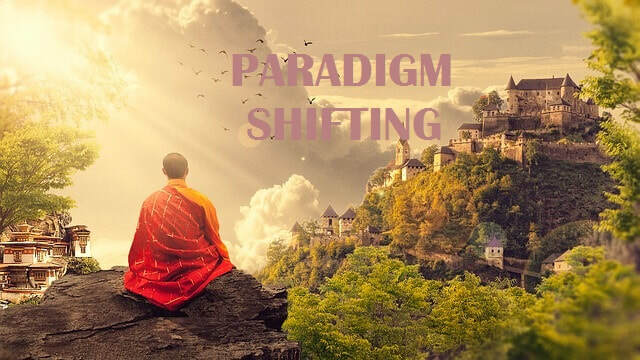 When we speak of Paradigm Shifting, we are not speaking of letting go of what you ‘mapped’ for this life, unless of course you---in your free will---decide it has nothing to do for you with this life any longer and you are going to change it, which is your free will. Your Life Map is created by the person through whom the Council of 8 speaks. Her intuition and connection with the Council of 8 help reveal the detailed information recorded in your Life Map records. Your Life Map is $111 and is recorded on mp3 and emailed to you. We will send you a personal phone contact number for you to verify the information we have received and let you know how quickly you can expect to receive your Life Map. Questions? Contact us by email. © COPYRIGHT 2017 LSW. ALL RIGHTS RESERVED. No portion of the written, audio, visual, or video content on this website may be used without written permission from the webmaster. Send request via email.